Effective control of seed and seedling rots is becoming increasingly important to protect the value of seed, currently the largest single expense in soybean production. Root rot pathogens, Fusarium graminearum and Pythium species that infect both corn and soybean, are becoming more prevalent in corn-soybean rotations. Currently no varietal resistance is available. 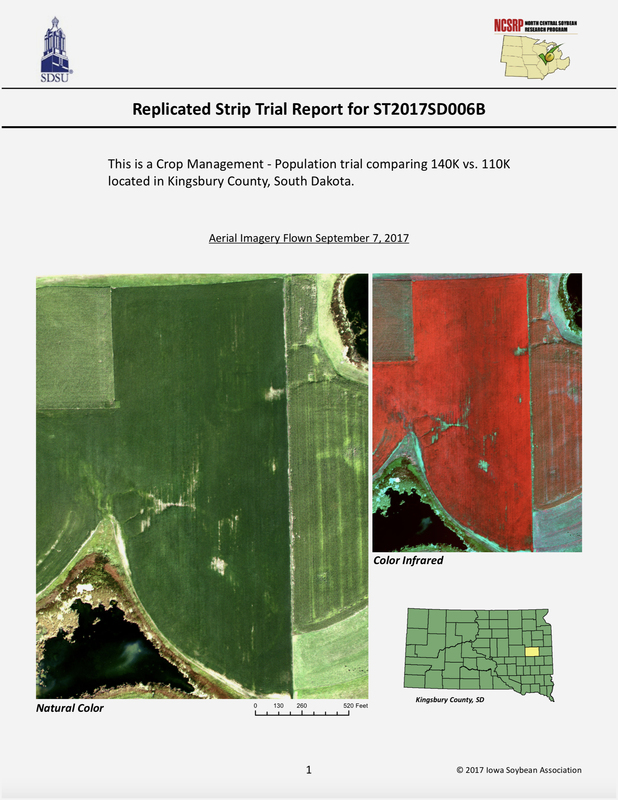 Over the past several years, plant pathologists and soybean breeders from the University of Minnesota and Purdue University have been working to identify and develop varietal resistance to common seedling pathogens as a cost-effective management tactic. Partial resistance, also called tolerance, rate-limiting resistance, or field resistance, is particularly desirable because there is no selection pressure on the pathogen, there are no negative effects on yield, and it is highly heritable. 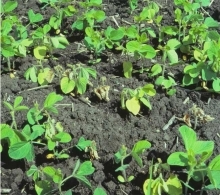 Protection from partial resistance can be more effective than that from complete resistance when plants are exposed to diverse populations of Phytophthora sojae under low to moderate disease pressure. Of equal importance is the fact that partial resistance derived from the effect of multiple genes should be more durable than complete resistance which relies on a single gene. Partial resistance is most effective in combination with other management practices such as seed treatments and good soil drainage. 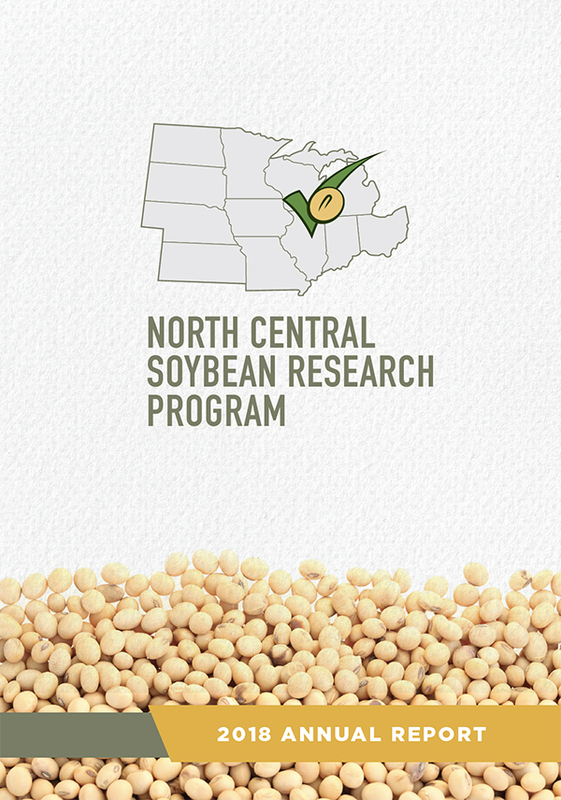 In a recent project funded by the North Central Soybean Research Program, we evaluated 280 early maturity soybean lines developed in Minnesota for resistance or partial resistance to the soybean seedling pathogens Phytophthora sojae, Fusarium graminearum, Pythium ultimum and Pythium irregulare. These lines are ancestors of MG I, 0 and 00 cultivars that are the basis of the University of Minnesota Soybean Breeding Program. 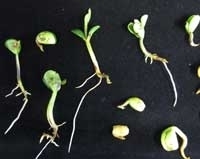 We found that a range of partial resistance is present in this collection of soybean lines which could be easily incorporated into breeding lines adapted to short growing seasons. We have also determined that partial resistance is already present in some regionally adapted lines. It is more difficult to identify and incorporate genes for partial resistance than for complete resistance because partial resistance is expressed as varying degrees of resistance, rather than an all-or-nothing response. For example, when identifying partial resistance to Fusarium graminearum, the measures of resistance we used included the severity of root rot, relative root weight, and relative root length when compared to uninfected plants. We then look for genetic markers that may be associated with these traits. To date we have identified two categories of genetic markers that indicate resistance to F. graminearum; one marker located on chromosome 8 was associated with resistance to root rots and 10 markers distributed on multiple chromosomes were associated with resistance to loss of root weight. These markers may be good targets for genomic selection for root rot resistance. We did not detect significant marker - trait associations for partial resistance to Phytophora sojae although the 280 lines differed widely in response to P. sojae inoculation. For this reason we completed six crosses of lines with resistance characteristics that differed widely and ranged from resistant to susceptible. The offspring of these crosses will be screened for partial resistance to P. sojae, genotyped, and the combined results analyzed for markers that were not apparent in the association mapping of the original 280 ancestral lines.